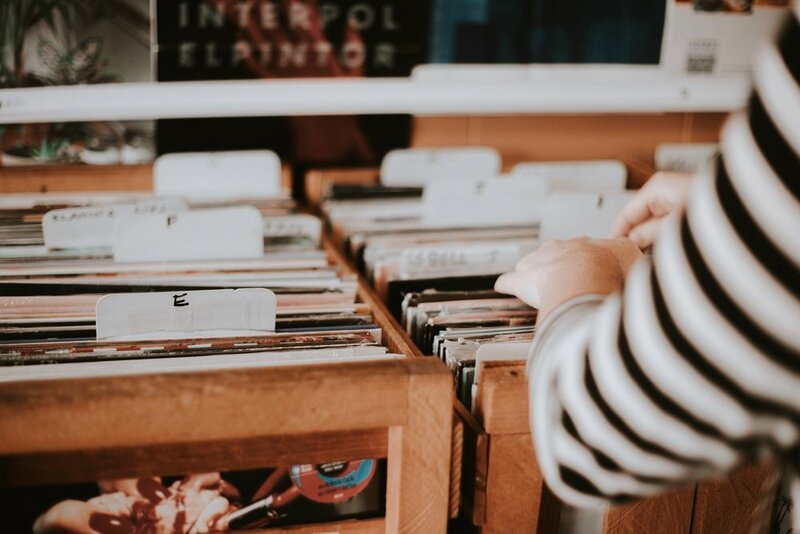 With the vast amount of information and record labels available in the music world, it can be daunting to search for the right label that fits you, let alone petition yourself to an independent label. We’ve listed our top ten favorite labels that you should know about (and maybe one extra you may not have known! ), each of whom boast notable, award-winning artists. Some of these record labels are looking for new artists too, so keep on the lookout! Don’t see your favorite on this list? Comment below and let us know who your favorite indie music label is and why they rock! Carpark Records planted their roots as a small record label in 1999 in New York City, relocating to Washington DC in 2005.They’re best known for their experimental psychedelic electronic, as well as their alternative rock. They’ve since expanded with subsidiary labels, Acute Records and Paw Tracks. Get in touch with Carpark! Fat Possum Records is a local giant in Oxford, Mississippi, with a long history of signing blues artists since 1992. Most recently, the record label has sought out younger talent for music promotion, signing on well-known names like The Black Keys and Hoops, to name a few. Rough Trade Records hails from London, UK and was founded in 1978 in the backrooms of a record store. Specializing in punk rock and early-post punk, they’ve carried big names like The Strokes, Warpaint, and Arcade Fire. Submit your demo to Rough Trade Records (see footer at bottom of page). Just one look at their roster and you might think that Island Records is the best indie record label out there. But in spite of their famous catalog of artists, their roots are purely indie. Island is an offshoot of Universal Music Group, founded in Jamaica in 1959 and later merging with Def Jam Records. While their roots may have been Jamaican, they’ve since morphed into a powerhouse of multi-genre talent with big and small names alike. Check out their FAQ for demo submission instructions. With a fiery roster of young talent, it’s no wonder that Glassnote Records has been hitting it out of the park with artist selection. Though it’s a relatively young label, having started in 2007, it’s turned new artists like Mumford & Sons and Childish Gambino into household names. All the same, they have stayed primarily as a hub for indie rock and alternative hip-hop. See their FAQ on mailing instructions for your demo submission. XL is an independent British label that also has fingers in nearly every genre of music when it comes to their choice of artists. They started in 1989 as a hub for rave and dance music, and later chose to broaden their horizons and develop more original artists. They catapulted into fame in the 2000s with successful artists and hot debut albums like The White Stripes, M.I.A., Jack White and Adele. They’re still going strong to this day. Learn more about their artists here. Art Pop and folk music are Domino Recording Company’s strongest suits, with such names as the ones listed above. Founded in London in 1993, Domino has grown into a high profile label that isn’t afraid to try experimental artists. Read their demo submission policy here. Young Turks was founded in 2003 as an offshoot of XL Recordings (sound famillar? ), but has since grown into a fully-fledged independent label. They’re also unique in that they dabble in hosting radio shows, aside from music. Read more about Young Turks, or see where to submit your demo. Hailing from Los Angeles, Stones Throw has morphed into a hip-hop, psych rock amalgamation, but thrives on the experimental. They first began with names such as Peanut Butter Wolf and Charizma, but have grown into the names you see above. Check out their demo submission policy. Now here’s something different: our penultimate label on this list is a faith-based label that signs Christian music talent. They gather together talent across the spectrum, from pastors to writers to bedroom musicians, and have created a legacy of inspirational music. Even better, all their music is free for your listening pleasure, which is even more unique in this industry. Check out their FAQ to learn about joining Humble Beast. Yes! Lion Bold isn’t just a resource for all your music questions, but also signs some dynamite talent from across the country. Though our lineup may be small, there’s always room for more. If you’re an artist looking for a way to develop your sound and get signed, don’t hesitate to let us know. Until then, keep growing your audience every day. Here is a checklist to help you grow your audience and get noticed by record labels. Don’t see your favorite indie record label on this list? Let us know who you think belongs on this list by commenting below!